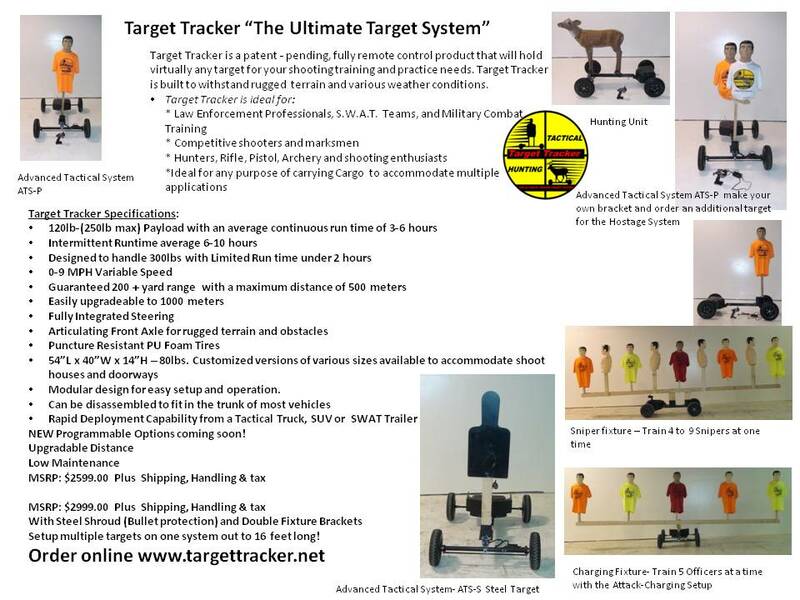 Identify through training which systems are the most effected utilizing Target Tracker moving target system training. 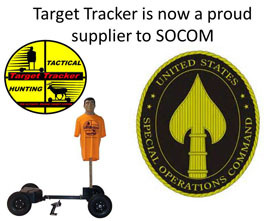 Cost of course includes a Target Tracker Unit, Service training, two days of Target Tracker Courses of Fire and multiple Target Tracker Demo units available for multiple threat training. Pin Point possible resolutions- Keep in mind a low percentage of people can fully develop their senses. 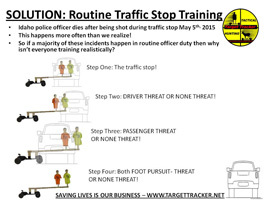 Combat Training: Train in combat type situations by making realistic combat scenarios utilizing Target Tracker, Non- Lethal Firearms and all equipment currently used in Law Enforcement & military field operations. Even after this training it should be evaluated on a regular basis to stay Frosty- think of it as a training maintenance program. This can be done after the fact by the individual with the learned knowledge. Advanced Autonomic Nervous system training.